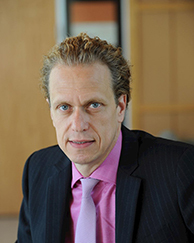 Christian Leuz, Joseph Sondheimer Professor of International Economics, Finance and Accounting at the University of Chicago’s Booth School of Business. He is also a Co-Director of the Initiative on Global Markets, a Research Associate at the National Bureau of Economic Research and a Fellow at the European Corporate Governance Institute, Wharton's Financial Institution Center, Goethe University's Center for Financial Studies, and the CESifo Research Network. He studies the role of disclosure and transparency in capital and other markets, the effects of disclosure and securities regulation, international accounting as well as corporate governance and corporate financing decisions. His work has been published in top academic journals, including the Journal of Accounting Research, Journal of Accounting & Economics, Journal of Financial Economics, and the Review of Financial Studies. He has received several awards and honors, including the Distinguished Contribution to the Accounting Literature Award in 2014 and 2016, the Humboldt Research Award in 2012, the 2011 Wildman Medal, as well as a JFE All-Star-Paper Award. He was also recognized as a “Highly Cited Researcher" by Thomson Reuters and included in their list of “The World’s Most Influential Scientific Minds” in 2014-2016. Professor Leuz is an editor for the Journal of Accounting Research and has served on many editorial boards, including the Journal of Accounting & Economics, The Accounting Review, the Journal of Business, Finance and Accounting, and the Review of Accounting Studies. Born in Germany, Professor Leuz earned his doctoral degree and “Habilitation” at the Business & Economics Department of Goethe University Frankfurt. Prior to this position, he was the Harold Stott Term Assistant Professor in Accounting at the Wharton School of the University of Pennsylvania and a visiting doctoral fellow at the Simon School of Business, University of Rochester. Financial disclosure and capital markets; financial transparency and corporate governance; cost of capital; international accounting; securities regulation. With Christian Laux, "Did Fair-Value Accounting Contribute to the Financial Crisis?," Journal of Economic Perspectives (2010). With Karl Lins and Frank Warnock, "Do Foreigners Invest Less in Poorly Governed Firms?,"? Review of Financial Studies (2009). With F. Oberholzer, "Political Relationships, Global Financing, and Corporate Transparency: Evidence from Indonesia," Journal of Financial Economics (2006). With D. Nanda and P. Wysocki, "Earnings Management and Investor Protection: An International Comparison," Journal of Financial Economics (2003). With R. Verrecchia, "The Economic Consequences of Increased Disclosure," Journal of Accounting Research (2000). This report provides an economic analysis for a widespread adoption of corporate social responsibility (or sustainability) disclosure and reporting standards in the United States. It is based on an extensive review of the academic literature in accounting, economics, finance, and management. We discuss possible economic consequences, including capital-market effects, real effects in firm behavior, and implementation issues related to the adoption of CSR standards. The report focuses on the economic effects of standards for disclosure and reporting, not on the economic effects of CSR activities and policies themselves. Our analysis yields a number of insights that are relevant to the current debate on CSR and sustainability reporting standards. We examine the degree to which competition amongst lenders interacts with the cyclicality in lending standards using a simple measure, the average physical distance of borrowers from banks’ branches. We propose that this novel measure captures the extent to which lenders are willing to stretch their lending portfolio. Consistent with this idea, we find a significant cyclical component in the evolution of lending distances. Distances widen considerably when credit conditions are lax and shorten considerably when credit conditions become tighter. Next, we show that a sharp departure from the trend in distance between banks and borrowers is indicative of increased risk taking. Finally, we provide evidence that as competition in banks’ local markets increases, their willingness to make loans at greater distance increases. Since average lending distance is easily measurable, it is potentially a useful measure for bank supervisors. Studying a comprehensive sample of stocks from the U.S. OTC market, we show that this market is a large and diverse trading environment with a rich set of regulatory and disclosure regimes, comprising venue rules and state laws beyond SEC regulation. We exploit this institutional richness to show that OTC firms subject to stricter regulatory regimes and disclosure requirements have higher market quality (higher liquidity and lower crash risk). Our analysis points to an important trade-off in regulating the OTC market and protecting investors: lowering regulatory requirements reduces the compliance burden for smaller firms, but it also reduces market quality. We analyze a comprehensive sample of more than 10,000 U.S. OTC stocks. We first show that the OTC market is a large, diverse, and dynamic trading environment with a rich set of regulatory and disclosure regimes, comprising venue rules and state laws beyond SEC regulation. We then exploit this institutional richness to analyze two key dimensions of market quality, liquidity and crash risk, across firms and regulatory regimes. We find that OTC firms that are subject to stricter regulatory regimes and disclosure requirements have higher market quality (higher liquidity and lower crash risk). Our analysis points to an important trade-off in regulating the OTC market and protecting investors: Lowering regulatory requirements (e.g., for disclosure) reduces the compliance burden for smaller firms, but it also reduces market quality. We examine the capital-market effects of changes in securities regulation in the European Union (EU) aimed at reducing market abuse and increasing transparency. To estimate causal effects for the population of EU firms, we exploit that for plausibly exogenous reasons, like national legislative procedures, EU countries adopted these directives at different times. We find significant increases in market liquidity, but the effects are stronger in countries with stricter implementation and traditionally more stringent securities regulation. The findings suggest that countries with initially weaker regulation do not catch up with stronger countries, and that countries diverge more upon harmonizing regulation. New: Did Fair-Value Accounting Contribute to the Financial Crisis? REVISION: Did Fair-Value Accounting Contribute to the Financial Crisis? New: Do Foreigners Invest Less in Poorly Governed Firms? REVISION: Do Foreigners Invest Less in Poorly Governed Firms?